Brook is a passionate advocate for her clients and is committed to seeking creative resolutions that are uniquely tailored to match client goals. She spends her days in court, and otherwise working with her team to ensure that all Meakins Law clients get the same attentive, specialized care that the firm quickly became known for. In addition to her family law practice, Brook is very involved in environmental climate-change advocacy work. In both realms she is a fierce champion of the rights of others, and it is this attribute that drives her success as an attorney and sets the tone for the entire firm. 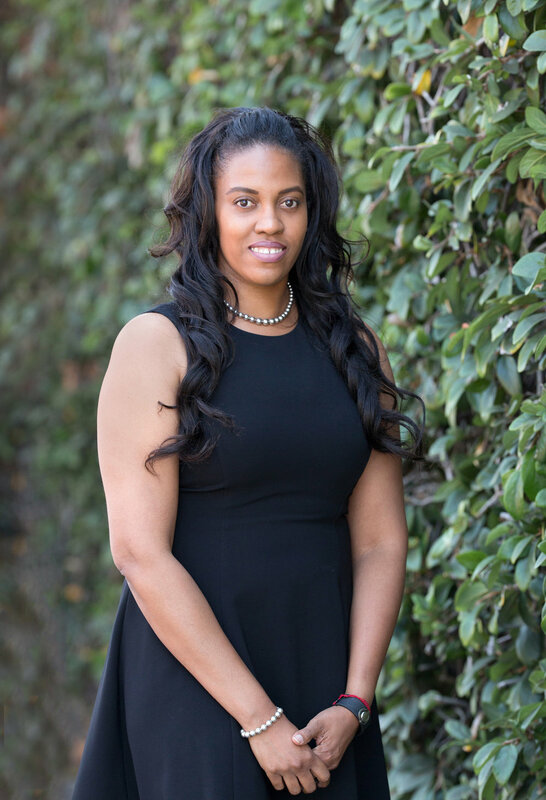 She devotes the same vibrant energy and attention to all of her clients, whether they are island nations affected by climate change or single fathers seeking greater involvement in their children’s lives. Brook is fully committed to bringing the needs and desires of the client to the forefront of every discussion, never allowing the complexity of the law to hamper communication. Her gift for balancing an empathetic, resolution-focused mindset with an unflinching commitment to a just outcome is what differentiates her from her peers. Brook’s clients sense her dedication; her results speak for themselves. She is a graduate of the University of Oregon School of Law and hails from Eugene, Oregon. When she and her husband eventually found their way down to the Bay Area, they fell in love with the quality of life and decided to make it their home. When he’s away from the office, David loves to follow baseball, experiment in the kitchen and explore all of the great restaurants, music and art venues that the Bay Area has to offer. Felipe has been practicing law in the Bay Area for 10 years, serving as an adviser, advocate, and caring partner to his clients. Felipe's goal as a family law attorney is to ease the stresses and lift the burdens his clients face in divorce and custody proceedings. His strengths are demystifying legal mumbo jumbo, simplifying the divorce process, and zeroing in on what matters. In addition to being an attorney, Felipe is a professional mediator and a youth sports coach. He is also an active volunteer in the Alameda County Superior Courts, mediating disputes, and assisting folks who cannot afford a lawyer. Felipe was born in La Plata, Argentina, and grew up in and around Berkeley, California. He studied history at UC Berkeley and received his law degree from UC Hastings in San Francisco. Felipe currently lives in Oakland with his wife, two children, Penny the family dog, and their two cats, Louie and Clark. Adam is a Texas native that became a permanent West Coast transplant after graduating from University of California, Hastings College of the Law. After beginning his career in civil litigation, Adam found his passion in family law. In his practice, Adam takes pride in helping his clients efficiently navigate the legal landscape surrounding what is often the most difficult period in their lives. Adam is skilled at understanding his clients’ goals and tailoring his practice to each individual client’s needs. Outside of the office, Adam enjoys cycling, live music, traveling, and cheering on his TCU Horned Frogs sports teams. A University of California, Berkeley alum and a Bay Area local, Trennille operates with a high level of energy and a fundamentally enthusiastic outlook on life. She has a diverse professional background and a sound business acumen, with impeccable attention to detail and a passionate drive to provide exceptional service to everyone who comes in the door. Her core values are in alignment with those of Meakins Law, and therefore she devotes herself wholeheartedly and without reserve to treat all people with a kind heart and an open mind. Trennille is committed to creating true and authentic connections, and demonstrates compassion and genuine positivity with all those that she comes in contact with. When she is not in the office, she appreciates the diverse geographic and demographic make-up of the community, and actively works to further the positive empowerment of all people, by providing and holding space and support for those in need. Trennille is an optimist, a practicing yogini, and a mother, who is head-over-heals in love with her two children: Shawn and Tiffany.